Grew Up… not as planned, but surrounded by love. With both his parents dying when he was a child, Alex was raised by his grandmother Regina (Nana Mama). Nana Mama remains a very important part of his life. Living… Washington, D.C. 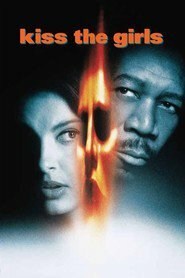 However, Alex is sent to Durham, North Carolina, when his niece, Naomi, goes missing. Profession… a weathered D.C. detective and forensic psychologist. Alex's experience has given him a preternatural intuition, and an even tougher stomach for the more grisly cases out there. However, when it's his niece's life on the line, Alex springs into action. Alex figures out the "whys" and "hows" of a crime scene as well as anyone. That skill will be sorely tested in North Carolina, where Alex learns from local police that Naomi is just the latest in a long string of missing girls. Matters are complicated when one of the missing girls is found dead, tied to a tree, and a medical intern, Kate, disappears as well. Interests... these days, Alex doesn’t have time for much but trying to find these girls. Soon he makes a surprising claim that at least provides a bit of hope: "I think killing's not his ulterior motive. This guy's a collector. I bet these women are alive." They’ve dubbed the criminal “Casanova,” and if Alex is right, at least they have a chance to find some of these women – including his niece – still alive. But time is running out. Relationship Status… single, but sparks fly somewhat with Kate. When Kate escapes from Casanova's lair, she tries to help Alex find the underground hiding spot where Casanova is keeping the kidnapped women. While working together Alex and Kate forge a bond based on their common purpose, but is it more than just professional? It could be a budding romance, though the timing is pretty lousy. Challenge… stopping Casanova and saving the missing women. With so many lives in jeopardy, he'll need to work fast and break down the clues with Kate before it's too late. They have the help of a local police detective, Nick Ruskin, but it’s not always easy to know who to trust in such situations. Personality… good-natured, sweet, and quick to act. He generally does his job coolly and calmly, without getting his emotions in the way. Alex is quick to make the conclusion that no one else has made yet, and he's usually right. For the sake of the women abducted by Casanova, he better be. 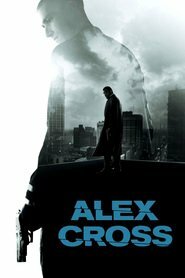 Alex Cross's popularity ranking on CharacTour is #1212 out of 5,000+ characters. See our top-ranked characters and read their profiles.